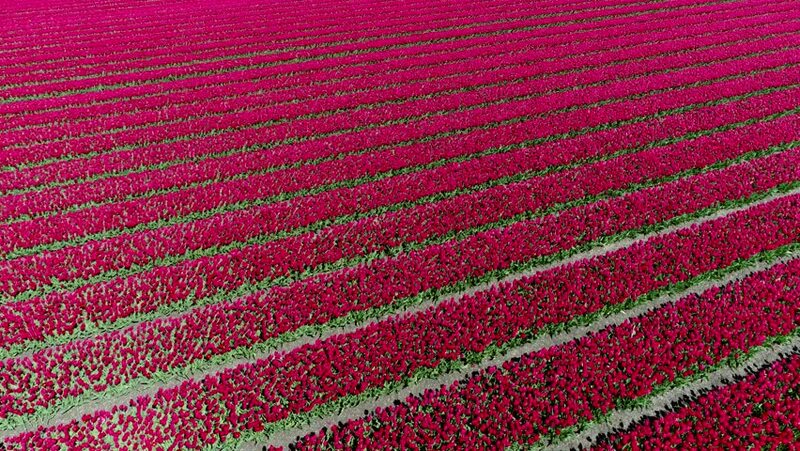 hd00:15Spring tulip fields in Holland. Red and Yellow tulip field. Dutch bulb field of colorful tulips. Beautiful outdoor scenery in Netherlands.